With our new subscription service you will get the most up to date horoscopes from the top astrologer in the world. Now you can get automatic delivery of the most accurate horoscopes by Susan Miller, written for every sign for every day of the year! I am so excited to tell you about my product, Daily Astrology Zone® horoscopes, that are being re-launched in a brand new home on my site. They are my detailed, accurate daily horoscopes that I write for you with great care and love. My aim is to inspire you, inform you, and coax you to take steps to enjoy all the sparkling planetary aspects as they come up for your sign over the course of the year. When a tough day is about to come up, I will tell you about it, but will also give you ideas of how to deal with that challenge effectively. The universe is wise – the tough days sweep out impossible situations, and the special days give us hope and opportunity. The universe breathes in and out by challenging us and rewarding us for living life with courage and imagination. 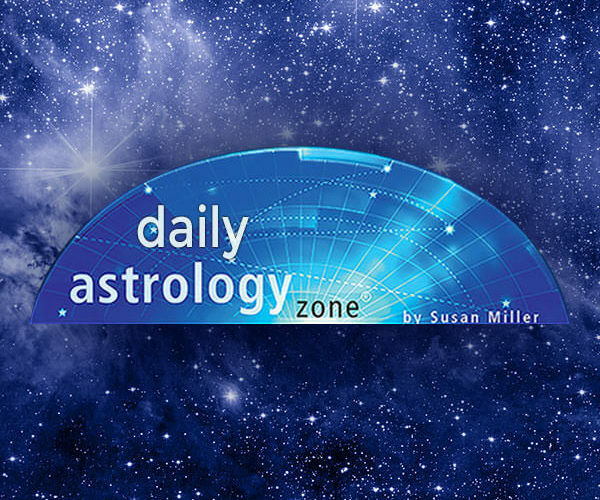 If you enjoy my Astrology Zone® monthly column, chances are, you will also enjoy my daily horoscopes. I have 30 years of experience and was accredited years ago as a professional astrologer by the International Society for Astrological Research (ISAR). I make it my mission to create the most useful and insightful daily horoscope available to you anywhere, in any venue. I strive to help you live your best life, your way. You have free will, so the planets do not dictate or predetermine the outcome of any situation or relationship. The planets, through their changing aspects, do present a variety of options so that you can choose the one that feels right for you. It is my job to show you your choices.